Starring Humphery Bogart and Lauren Bacall. L.A. private eye Philip Marlowe takes on a blackmail case … and follows a trail peopled with murderers, pornographers, nightclub rogues, the spoiled rich and more. 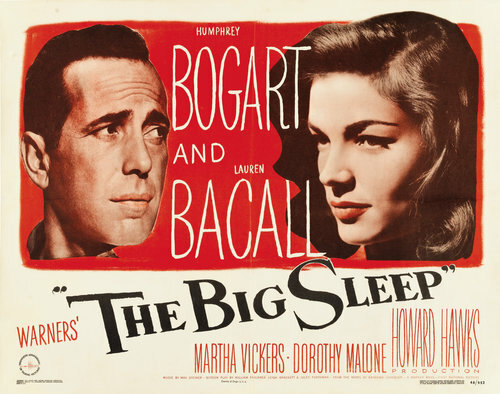 But Raymond Chandler’s legendary gumshoe solves it in hard-boiled style-and style is what The Big Sleep is all about. Director Howard Hawks serves up snappy character encounters, brisk pace and atmosphere galore. Crime, Film-Moir, Mystery. Not Rated, 114 minutes.